Haida Gwaii, an archipelago off the Northwest Coast of British Columbia (BC), has been continuously inhabited by the Haida people for over 12,000 years. The past two centuries have seen Haida Gwaii’s resources exploited, sometimes to the point of extirpation (sea otters) and even extinction (Dawson Caribou). Recent decades, however, have seen the Haida organize to fight for the conservation of their lands and, by extension, their culture. Now, any effort to conserve any component of the land making up, or the marine environment surrounding, Haida Gwaii must, without exception, be done in concert with local Haida culture and traditions. Aboriginal rights are enshrined in the Canadian Constitution. And Canada, after almost a decade of opposition, is also now a full adoptee of the United Nations Declaration on the Rights of Indigenous Peoples, or UNDRIP. This means conservation efforts must be inclusive of First Nations consultation and accommodation, but must also find a way to coexist with the framework of the Canadian legal system*. Historically and in general, these two have not been known to work well together. The Haida Nation are beginning to change the narrative, however. Their work with Parks Canada and Fisheries and Oceans Canada (DFO) in the creation of Haida Gwaii’s Archipelago Management Board and towards the goal of conservation (the Land-Sea-People Plan) in the Gwaii Haanas National Park Reserve and Haida Heritage Site is considered a first. They also have a Constitution of the Haida Nation, that provides for the protection of land, sea and culture. But while the Haida constitution may look, to the untrained observer, similar to a constitution crafted by a Western government, it is fundamentally different. Specializing in aboriginal-environmental law, Terri-Lynn has been merging disparate elements into the court systems and law since 1996. In Western governments, politicians are in power once elected and no longer require direct authorization from the people once in office. Haida leaders, however, get their authority directly from the people. Every Haida citizen over the age of sixteen may propose policy to be voted on in the House of Assembly, and they may vote on any policy proposed. There is an expressed mandate to protect Haida Gwaii and the Haida culture. One person in particular who can lay claim to helping change the narrative to a more inclusive tone is Terri-Lynn Williams-Davidson, principal lawyer for White Raven Law Corporation. Specializing in aboriginal-environmental law, Terri-Lynn has been merging disparate elements into the court systems and law since 1996, when she was called to the British Columbia Bar a year after graduating from UBC Faculty of Law. In the course of her career, she has held counsel as high as the Supreme Court of Canada in legal battles for Haida land and culture. Terri-Lynn’s is a life dedicated to the preservation of Haida culture. Not just through legal maneuverings as the General Counsel of the Haida Nation, but also through her art, which includes music, song and myriad visual mediums. To list her accomplishments and awards in the art realm alone, not to mention her work in the field of law, would require far more space than we have allotted here. If you would like to read more about Terri-Lynn, please see her bio page. You should also listen to her newest album, Grizzly Bear Town, here on Spotify. We were honored to have Terri-Lynn Williams-Davidson (Haida name lalaxaaygans, meaning beautiful sound) agree to a phone call interview with The Sealives Initiative. After a brief introduction, Terri-Lynn explained a couple of important terms to us. She explained that aboriginal law is codified law about aboriginal people, as opposed to aboriginal peoples' law. Aboriginal peoples' law, also known as Indigenous Law, refers to the traditional legal customs and practices which vary with each Indigenous Nation and are a part of their cultural identities. Very few of these laws have been codified, and in fact, may not ever be codified as Western laws have been. Terri-Lynn’s specialty, aboriginal-environmental law and indigenous law, lies at the intersection of codified environmental laws and aboriginal laws and seeks to protect the traditional lands and culture of and for indigenous peoples. She says most Canadians believe there are only one or two kinds of laws in Canada: Canadian laws and the Quebec civil law tradition. Terri-Lynn is quick to point out that it is an ongoing battle and nothing is guaranteed, especially when larger economic forces are at play. However, Section 35 of the Canadian Constitution Act of 1982 recognizes and affirms the existing rights of indigenous people and allows for the recognition of indigenous laws as part of the laws of Canada. This means that the many laws of Indigenous Nations must be considered in any discussion about Canadian law. One law common to all Indigenous Nations is that present-day people be able to enjoy the land the same way that their ancestors did, and for future generations to enjoy the land the same way that the present-day generation does. In 2014 and 2015, Indigenous rights in Canada were put to the test when Terri-Lynn represented the Haida Nation in their legal action against the DFO as they challenged the decision to open the commercial herring fishery in the waters of Haida Gwaii. At that time, the herring stocks were depleted to the point where the DFO’s own scientists stated that the stocks were too low to sustain a commercial fishery. DFO Minister Gail Shea made the decision to ignore the entreaties of the Haida Nation, the Ahousaht Nation, and the advice of her own scientists—who all wanted the fishery to remain closed—when she called for the fishery to open. In court, Terri-Lynn crafted her argument by combining science with the rights recognized in 1982. She also brought forward the oral traditions of the Haida, which teach about the Haida worldview, the importance of herring to Haida culture, and also methods for harvesting them. “The court looked to the agreements and commitments on the part of Haida and Canada to manage to a higher standard, a higher duty of care in the Gwaii Haanas area,” she recalled. In a huge victory for the Ahousaht in 2014 and the Haida in 2015—not to mention for the herring— and a significant milestone in the use of indigenous rights in the fight for conservation issues, the court agreed with the Ahousaht and Haida peoples. Injunctions were granted, halting the opening of the fishery, and the Haida have managed to keep it closed ever since. Although, Terri-Lynn is quick to point out that it is an ongoing battle and nothing is guaranteed, especially when larger economic forces are at play. When it comes to science, arguments must be made in layman’s terms to avoid confusion. When the courts take economic interests into consideration, they also look at the timeline of any actions to stop those interests. In the herring case, the Haida relied upon a long track record of raising concerns about herring (predating the protection of the Gwaii Haanas area), and had given industry notice the year prior that they would start a proceeding if the fishery were to be opened. The biggest case the Haida Nation has won to date was in 2004 when Terri-Lynn was part of the team representing the Haida Nation versus the British Columbia Minister of Forests in the Supreme Court of Canada. In this case, the Haida Nation successfully argued the importance of red cedar trees and forest, especially old-growth forest, to Haida culture and told the court that to the Haida people, the cedar tree is considered to be an older sister. In making this argument, she again blended science and tradition and tried to word both in a manner that as many of the sitting judges as possible might understand. After all, every person, judges included, will have varying levels of understanding of any particular subject. When it comes to science, arguments must be made in layman’s terms to avoid confusion. In the successful Haida Nation logging case, it was not hard to show supporting visual evidence. 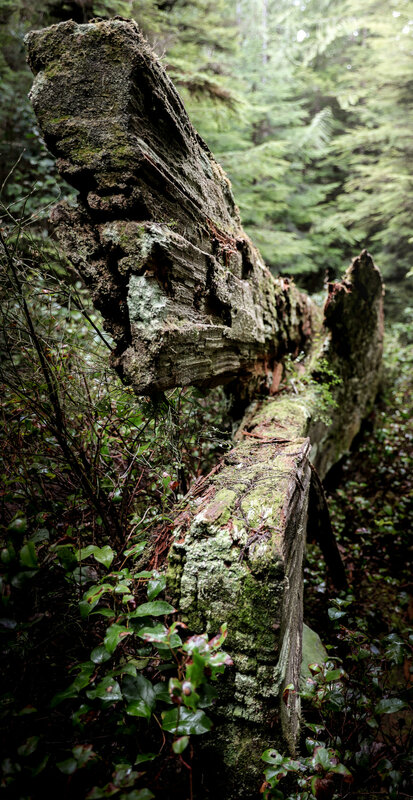 The Haida Nation partnered with the Gowgaia Institute to present photographs showing the visible impact clear-cut logging was having on the forests in Haida Gwaii. The damage was unmistakable, vast and growing. Of the $80 million worth of fish annually harvested from those waters, she says, “almost nothing goes to Haida people. When it comes to culture and tradition, arguments must be both emotionally persuasive and logically coherent. Absent a victory in this logging case, the Haida told the Court that they could have ended up winning their Aboriginal title case over a future Haida Gwaii that would have been stripped of the very forests so vital to them. After arguments had been made on both sides, the court sided with the Haida Nation. The Haida have now protected 75% of Haida Gwaii’s forest, including all of Gwaii Haanas. They have also reduced the cut level, meaning cubic meters of timber to be harvested, by half and implemented new rules of ecosystem-based management that the Haida jointly devised, over the entire public land-base. Terri-Lynn has demonstrated that, when you can convince a judge of the cultural significance of a resource and then use scientific data to show the necessity for creating legislation to enforce stewardship of that resource, you have won half the battle. By combining these steps with a timely set of proceedings establishing diligence towards your goal, you stand a better chance of defeating corporate interests that might otherwise decimate resources in the name of fleeting monetary profits—an important and powerful lesson to learn, and an approach that can become a template for other similar disputes in North America and around the world. Terri-Lynn is now pursuing her Masters while continuing to be an active lawyer. After helping to protect much of the forest in Haida Gwaii, she will now set her sights on helping to protect the surrounding waters and the creatures who live there. One of her main areas of concern is that individuals and corporations have gained what she calls super-proprietary interests to fisheries, just as they have to forests, through Crown-granted licences. Historically, these economic interests are given more weight than any concerns voiced by indigenous or local people. Another concern is the fact that while the oceans are a common property of mankind, individuals have little say over whether any of it is protected, or even whether or not a fishery is fished to collapse. It will be an uphill fight unless there are changes to the way the DFO releases its scientific findings. They claim much of the data they collect is proprietary. They are also accused of stalling, blacking out information, taking months or longer to respond and flat-out denying information requests about the public resources they are in charge of. Because of this information impasse, Terri-Lynn says the Haida do not have anywhere near the amount of data as they had for their successful logging case. She believes they will likely only gain access through litigation. If that is the case, she has her work cut out for her.